Constitutions are the cultural achievement of centuries of historical legal development, an expression of the cultural self-presentation of a people. For all their variety, constitutions seek to set the rules for a fundamental order in an objective, rational and principled manner. The general structure of the state, the inclusion and contours given to basic legal principles (Rule of Law, Separation of Powers, Legality) and the human rights a society may wish to uphold receive varied and diverging replies in the Constitutions analysed by the Constitute Project. From the very beginning of the drafting process, those replies can scarcely be separated from the cultural background on which the views and perspectives on these matters of principle are based. It is this relationship between culture and constitutionalism that Häberle investigates in his paper on “The rationale of constitutions from a cultural science viewpoint”. The paper raises the question whether a culturally similar geographic area will produce distinct constitutional elements. Häberle specifically makes the case for a “European legal culture”, but then presses beyond this insight. To him, constitutions are so strongly routed in culture that we ought to no longer think in terms of “constitutions and culture, but rather of, constitutions as culture” (p. 636, emphasis in original). Häberle initially draws a distinction between Europe in a wider sense, which includes the Council of Europe and the OSCE, and Europe in the narrow sense of the European Union. In his view, the latter has, through the Treaties of Rome, Maastricht, Amsterdam and Nizza established an “ensemble of partial constitutions” (p. 627). This “developing constitutional community”, through the presence of a European citizenship and the Schengen Agreement, has qualified traditional elements of statehood (sovereignty and territory) to an extent, where Häberle believes it no longer appropriate for EU member states to refer to each other as “foreign countries” (p. 627). To Häberle this is part of a greater EU “constitutional fabric”, to which he adds particularly those elements more familiar from national constitutions: fundamental rights guarantees, such as the EU fundamental freedoms and the principle of equal treatment, the Rechtsstaatsprinzip, as well as the democratic structures and an emerging European public. In practice, this fabric interacts with the existing national constitutions so as to limit their scope in the European legal context. Even though the fabric is still somewhat fragile, Häberle believes it can ultimately mature through its inherent “flexibility”, and, if necessary, through a gradual reduction to a core group of European nations (“core Europe”, p. 629). Beyond this narrow perspective, Häberle sees further common ground. He contends that Europe, taken in a wider sense, displays six distinct elements of a common legal culture, forming the basis of a common identity (p. 628): (1) 2500 years of historical and legal development, based on the philosophical and legal traditions of ancient Greece, Rome and the contributions of Judaism and Christianity; (2) scholarship and legal doctrine, particularly influenced through the reception of Roman Law in the Middle Ages; (3) judicial independence, as an integral part of a doctrine on the Separation of Powers, the right to a fair hearing, and the principles of effective legal protection and due process; (4) the religious and ideological neutrality of the state, expressed through religious freedom, albeit with differing modi operandorum across Europe; (5) diversity and unity, in the sense of a plurality of national legal systems, for instance between the Romanic countries and Great Britain; (6) claims to universality of certain elements, such as human rights and possibly also the Rechtsstaatsprinzip. These six elements may culminate, according to Häberle, in the development of a “common European constitutional law”, particularly through the work of the European Courts in Luxemburg and Strasbourg (p. 630). The inclusion of the Rechtsstaatsprinzip is curious, as the concept originated in German constitutional law. It is often translated into English as Rule of Law, and undoubtedly shares some core elements with this principle, but arguably goes beyond this in the German context. Omitting some detail, the Rechtstaatsprinzip has been refined by the Federal Constitutional Court to encompass five central features: (1) General Respect for Fundamental Rights by all branches of Government, preventing infringements of the essence of these rights or removing them from the jurisdiction of independent courts; (2) Separation of Powers, which requires a system of mutual control and dependence, complemented by the federal structure of the German state, which requires a vertical separation between municipalities, Länder, and the Federal level; (3) Equality before the Law, which excludes arbitrary decisions and a blurring of the separation between executive and legislative action, for instance through individually targeted laws and excessive use of subordinate legislation such as ordinances; (4) Reservation of the Law (“Vorbehalt des Gesetzes”), which states that infringements of freedoms and rights of citizens require a prior, formal legal basis. This, along with the associated duty of administrative authorities to strictly comply with the law, effectively excludes administrative discretion without a legal basis. (5) Finally, Proportionality assessments of any state action. Even if we may have trouble identifying all of these features in the diverse legal systems across Europe, it appears difficult to disagree with Häberle on the essence: there are distinct elements and principles in European legal orders that are undoubtedly influenced by the cultural and historical development. However, Häberle presses beyond this insight, and would have us re-evaluate our understanding of constitutions. To Häberle, “constitutions are not mere legal texts or normative rulebooks, but an expression of cultural development, the means to cultural self-presentation of a people, a mirror of their cultural heritage and foundation for renewed hope.” (p. 636 et seq.). This is expressed, as he sees it, for instance in the contrasting concepts of regionalism, as currently developing in the United Kingdom with its Regional Assemblies, and the “cultural federalism” in Germany. Häberle suggests that this lead towards a perception of constitutions as culture, which entails several advantages over our current understanding: (1) Constitutional theory would be introduced and (re-) connected to the also primarily text based work in the literature and music branches of cultural sciences. Especially in terms of literature and music, Häberle sees a strong connection with regard to constitutional preambles. (2) A cultural science approach would also better account for the evolution in the meaning of constitutional texts, particularly in the absence of formal amendments. If the constitution is a product of culture, then its meaning naturally evolves with our cultural understanding. This would especially provide a strong case against legal arguments invoking variants of orginalism, such as in the book by US Supreme Court Justice Antonin Scalia, A matter of Interpretation. (3) A common culture could also be considered an additional criterion to the traditional three-elements theory for statehood in International Law (People, Territory and Sovereignty) as popularised by Georg Jellinek in his salient work Allgemeine Staatslehre. (4) Finally, a cultural science approach could better account for certain fundamental constitutional principles, the normative claims they make, the limitations they place on the exercise of power, their expressions of justice and the influence unfolded through mission statements. Human dignity, for instance, is described by Häberle as a “cultural, anthropologic premise that was earned through countless cultural socialisation processes (…)” (p. 639). Also democracy, as its “organisational consequence”, (p. 639) is difficult to situate and conceptualize solely in legal terms, as it often forms a part of the foundational premises of constitutions. Häberle nonetheless acknowledges that this approach is subject to limitations. Constitutions differ in some respects from other branches of cultural science: constitutions are not final, completed works, but ideally products of an open society and pluralism, as well as subject to ongoing development. The approach is further restricted by the accepted methods of interpretation, the “tools of the trade of jurists” (p. 639). To Häberle, these are the textual, historical, systematic and teleological methods, which he suggests are supplemented by a fifth, the comparative method. They are indispensable to Häberle, but no matter how flexibly these may be applied, they remain a testament to the relative rigidity of legal work on texts. Thus, while the legal interpretative process may be conceptualized within the cultural sciences, it undoubtedly occupies a somewhat special place amongst them. Häberle however does draw one clear line between constitutions and culture. The constitutional state will be tested through the realities of power and politics, but Häberle cautions against conflating constitutional law with morality in an effort to resist these currents, lest individual freedoms are jeopardized. We should not expect something of the liberal constitutional state that is beyond the “normative power of constitutions” (p. 640). Ultimately, a constitutional state must rely on a “cautiously optimistic conception of humanity” (p. 641), even if the constitution subsequently acknowledges and counteracts the tendency of humans to abuse power. 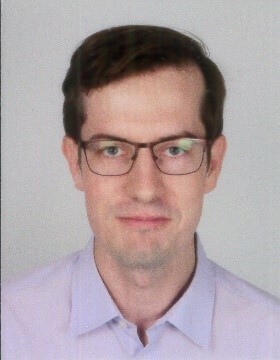 Stefan Theil is a PhD candidate in Law at the University of Cambridge and authored the translation of Peter Häberle’s paper into English. This entry was posted on April 7, 2015 by Constitutional Law Group in Comparative law, Constitution-Making, Europe and tagged Constitutional Cultures, Constitutional Theory, Peter Häberle.